Discussion in 'Android News' started by Stigy, Dec 9, 2009. 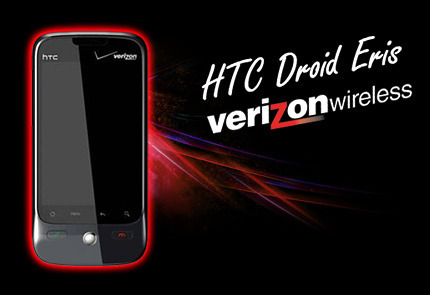 Do you have an HTC Eris and feel left out from all the Motorola DROIDs getting OTA updates? Well fret no more because one for you is on the way. Verizon just let us know that an OTA update for the HTC DROID Eris is being pushed to handsets at about midnight this evening. The ROM is 1.16.605.1 and the radio version is 2.32.40.11.09 for those inquiring minds. Just as Motorola’s OTA update worked, the DROID Eris will as well — slowly to a small group of people, then expanding over the coming days. Here’s a brief list of some of the fixes and you can always check the documentation on Verizon’s site. While on a call and the device is in screensaver mode, pressing the End key now takes the device out of screensaver mode, and a second press will end the call. On-call mute and speakerphone icon functionality is enhanced. Upgraded functionality after activation eliminates the delay users were experiencing in receiving their first call. Device now switches effectively from 1x mode to 3G. Device no longer requires users to reselect a default email after power cycling. SMS and MMS messaging delivery is improved. Improved picture messaging functionality allows messages from LG phones to be opened. Thanks to Boy Genius Report for the story. New update as of tonight!!!! End key now takes the device out of screensaver mode, and a second press will end the call. Device no longer requires users to reselect a default email after power-cycling. Just got the update on my Eris. Popup window came out of nowhere asking to install. Took 10mins to download and install. I'm still waiting for the update, shame the battery issue is being skipped this time around. Going to merge these threads. Any way to force the update like with the DROID?